The Dark Goddesses are the Initiators, the Psychopomps, the threshold Goddesses between our world and the otherworld. They mediate our consciousness, expose our shadows and accompany us through the underworld – through our unconscious. 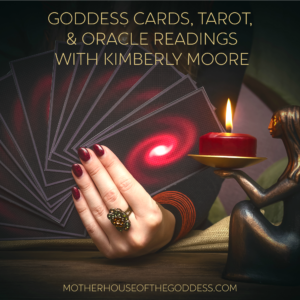 Many of the Dark Goddesses are Creators and Destroyers – they hold sway over the most powerful moments in human lives: childbirth, initiation, death, dreams, and both shamanic and psychic experiences. At this time of the year, the Dark Mothers also hold sway over the seasons and are preparing to lead us from the contemplations of Autumn to the deep mysteries of Winter. In Pagan traditions, Halloween (also called Samhain) is the beginning of the new year – October 31. Traditionally, the night of All Hallow’s Eve is associated with celebrating the Ancestors and the night when the veils between our world and the Astral Plane are considered to be at their thinnest. Even in non-Pagan traditions, celebrations for All Soul’s Day and Dias de los Muertos are occurring at the same time. Going back to ancient times, the graves and final resting places of the dead would be decorated, including the favorite foods and objects of those who had passed, and families would spend a night (or several nights) in vigil at the burial place. Part of this was to honor the Ancestors and part of this was to appease the spirits of the dead so that they would not create negative energy, or even physical illnesses, in the living. Into eternal and primordial sleep. Into Her inner earth’s most secret heart. Eternal Joy born from the deeps of night. The secret strength of Rhea Binah Ge. On these nights of worship and communion, we seek connection to our roots, our Ancestors – a remembrance, a glimpse, a whisper from those who have passed on. We honor their lives and gather in community to share and remember. We call out to the Goddesses of the Dead to grant us safe passage on these wild, magical nights and to perhaps allow messages through the veils. Our offerings recognize the Goddesses and our loved ones who have passed into the embrace of the Dark Mothers. Hekate – Greek Goddess – Goddess of the Dead and the Crossroads who holds sway over Heaven, Earth and the Underworld. She is Queen of the Horde, which contains spirits/souls that She holds until they are ready to pass over. Cerridwen – Welsh Goddess – Sacred Keeper of the Cauldron of Death and Rebirth. She represents Spiritual Transformation. Kali – Hindu Goddess of Karma and Time. She lives in the cremation grounds and is known as the Destroyer. Erishkegal – Sumerian Goddess and Ruler of the Underworld. She is the Goddess Inanna’s sister. Baba Yaga – Slavic dark Earth Mother/Crone whose stove holds dead souls prior to being reborn with new wisdom, and whose avian devotees act as psychopomps. Arianrhod – Welsh Goddess – Caer Arianrhod is the place to which souls withdraw between incarnations. Cailleach – Hag Goddess of Scotland and the bringer of Winter. She brings nightmares, terrors and death. The Morrigan – Irish War Goddess who is associated with death. Also called the Queen of Demons. Nana Buruku – Primordial Creator Goddess who mediates Life and Death – the Grandmother of the Orishas – associated with shadows and deep magick. Persephone – Greek – Queen of the Underworld who resides with Her consort Hades in the Underworld for the dark half of the year. Hel – Teutonic Goddess of the Dead. Oya – Orisha who lives at the gates of the cemetery and controls the souls of the dead. While the Dark Mothers are an intimidating group on the surface, there is so much that they bring to us – knowledge of our shadow sides, initiations, transitions. Without their influence and regard, we would not move forward in our journeys or incarnations. They represent the cycles of our human and spiritual lives. Archetypally, they are death (spiritual and physical) and the promise of rebirth. Experiences with the Dark Mothers are intense. Approach and devotion to these Goddesses include enormous amounts of research, and getting your practical and astral abilities in order. Effective Priestesses, Shamans, and Practitioners are able to mediate the dark as well as the light. Recognizing and appreciating the gifts of the Dark Mothers and the Goddesses of the Dead are parts of our spiritual path. As a Priestess of the Goddess and in particular a Priestess of Hekate for 18 years, I am compelled to post some guidelines to consider when invoking these energies. The Goddesses of the Dead are Ancient and Primordial Goddesses. They hold sway over powerful realms that affect our own realm mightily. 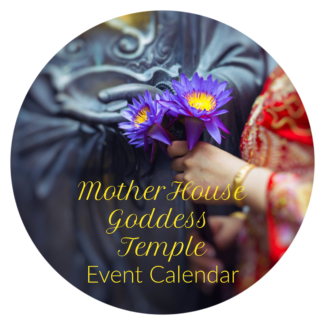 None of the Goddesses should be invoked, evoked, or ritually called upon lightly – and this is duly emphasized with the Dark Mothers. 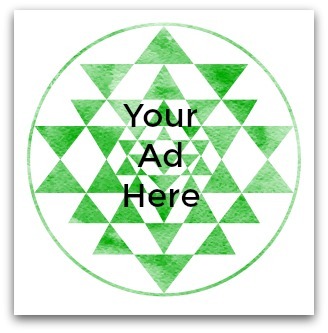 Ask questions – Seek out experienced Priestesses, Shamans, and Practitioners. We are always available for advice and guidance. Research, research, research, and then research some more. Acknowledge your own truths – Not everything in books will resonate with you or work for you. Prayers, invocations and ritual approaches to Goddess should always be done with respect and care, and backed up by research as to the idiosyncrasies of the particular Goddess that you are calling upon. Write your own rituals and invocations. If you feel uncertain, pause and approach the Goddess devotionally or in meditation. Begin with meditations and reflection and work up to direct ritual/ceremonial contact. Make sure your sacred space is kept clean within and without, and that your ritual process is effectual. Don’t ask the Goddess for “things” – Bless Her, pray to Her, give Her offerings, show respect, and develop a relationship. Revel in your evolving connection with Goddess while being mindful of the potential impact of ancient energies. On that note, wishing all who celebrate a wonderful Samhain and Day (days) of the Dead! Please share how you celebrate and if you feel drawn to any of the Goddesses of the Dead. I have an altar that I pray on and I would like to specifically worship Goddesses who are seen as darker: I am fascinated by that side of womyn’s power. I would like to get better in touch with my own dark side, and balance it with my light: honour and accept it. Do you have advice for a newb? I’ve read Grimoire Book of Shadows but I found it annoyingly heteronormative and sort of body-shamey. Anyway, I would really like to devote daily energy to this but I don’t know how or where to start, and doing general internet searches feels like the equivalence of a 20 yr old white kid claiming to be Buddhist, but who hasn’t even heard of the Tripitaka because they only read Googled Deepak Chopra quotes…:) Bit sassy but you know? I want my prayers to be productive. Any advice would be incredibly altruistic. Will start by meditating as your article suggests. Any other good articles for Goddess preferences? What kind of gifts properly honour them, etc. Many thanks and blessing to you. HI there! Thank you for your comment! 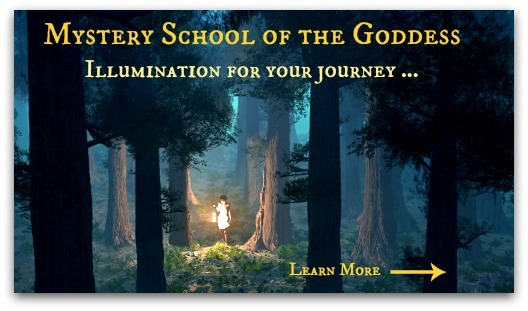 I recommend choosing one or two Goddesses to work with so that you can do the research specifically on those deities. Perhaps start with 30 days? 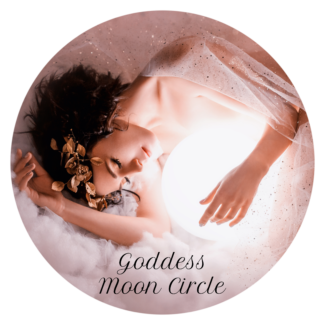 There is a Writing the Goddess course that walks you through researching a Goddess in-depth and also our Meeting the Dark Goddess course. 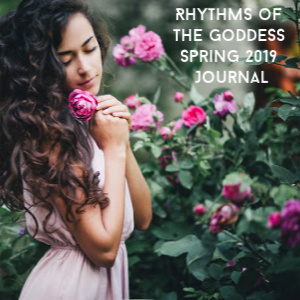 I will post some book links as well on the blog for connecting with the Dark Goddesses. Bless!